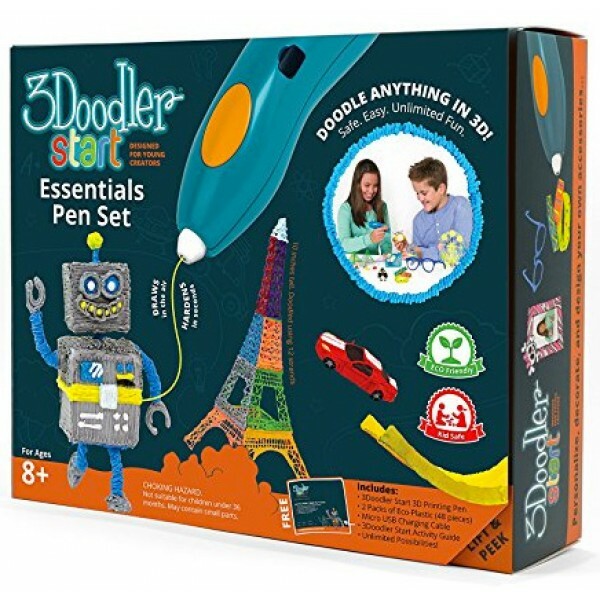 With the new 3Doodler Start your creative kids can finally bring all of their wonderful and imaginative ideas to life -- in 3D! 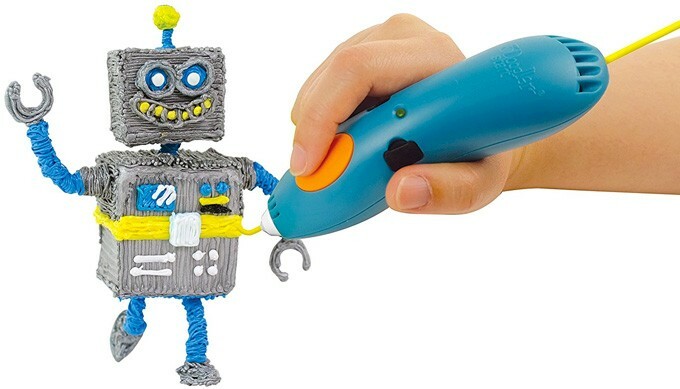 This kid-safe 3D printing pen melts plastic that cools and hardens rapidly, allowing kids to literally draw in the air. 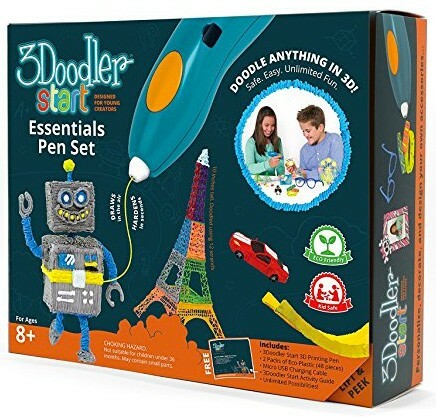 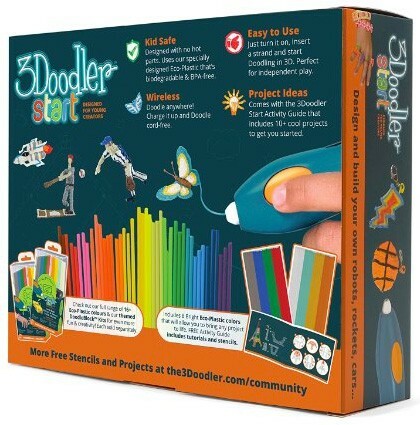 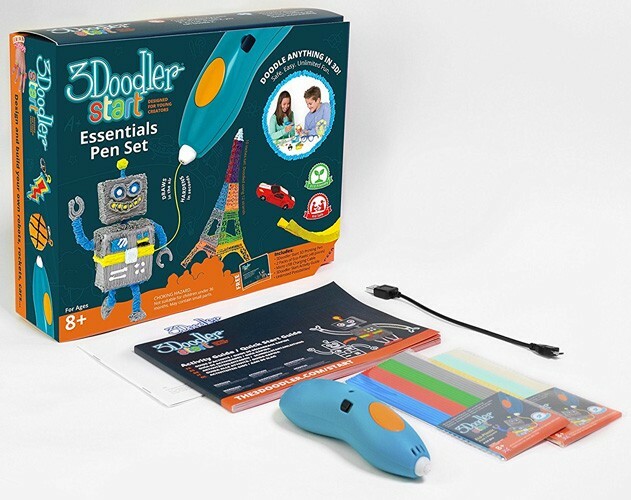 This starter kit includes two mixed packs of 3Doodler Start eco-plastic, a 3D printing pen, a micro USB cable, an Amazon-exclusive Doodleblock to help you shape your sculptures, and a project booklet. 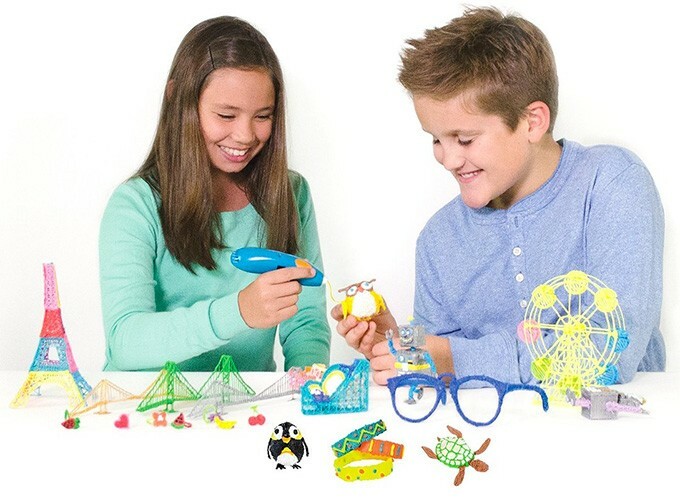 Refill eco-plastic packs are available for purchase separately, including this multicolor Primary Pow set; all of them are made of food-grade materials that are biodegradable, non-toxic, and BPA-free.